‘Party Fun’ is a children’s entertainment and party planning business in Carlisle run by (Silly) Gilly. She has been entertaining at parties since 2006. Gilly offers a friendly and personal service, offering you a stress-free party. She can put together some or all of your party for you, saving you the time of arranging and organising your child’s party if you need it, leaving you more time to actually enjoy it! Silly Gilly can entertain the children for you or you can get her to set up the party for you as well. If you wish, you can get her to bring the filled party bags or even the food boxes to your party to save you time. Gilly entertains children at all sorts of events; birthday parties, weddings, christenings, corporate events, opening events, outdoor events- walkabout balloon modelling and face painting, school events and discos. Gilly is a mum to a young son herself. With more than 20 years teaching and childminding experience. She also holds a CIEH Food Hygiene Certificate and is CRB (Police) checked. She is fully insured up to £5 million and is a previous member of Equity, the entertainers’ guild and a fully-paid member of BAPIA- the balloon modellers’ guild. Gilly strives to send your party guests home with a smile on their faces, having had a fun-packed time. If you require a different service to those listed, please let us know and Gilly will do her best to help. 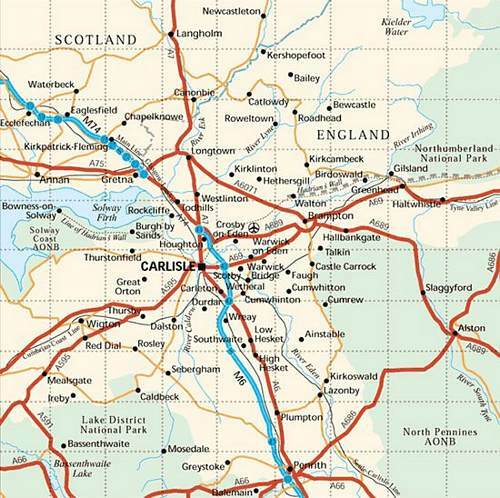 Gilly is happy to bring your party to you, traveling around 45 miles to your venue to places such as West Cumbria, Workington, Whitehaven, Wigton, Aspatria, Brampton, Longtown, Cockermouth, Haltwhistle, Hexham, Penrith and the North Lakes and South West Scotland. Just give her a call on 07729196944.